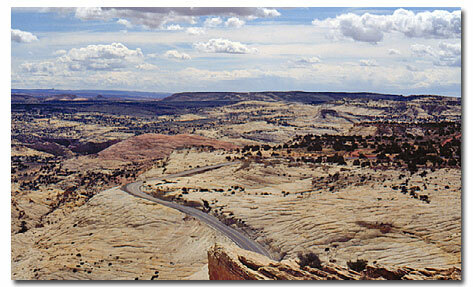 The Canyons of the Escalante. Grand Staircase-Escalante National Monument spans nearly 1.9 million acres of America's public lands. From its spectacular Grand Staircase of cliffs and terraces, across the rugged Kaiparowits Plateau, to the wonders of the Escalante River Canyons, the Monument's size, resources, and remote character provide extraordinary opportunities for geologists, paleontologists, archeologists, historians, and biologists in scientific research, education, and exploration. The vast landscapes of GSENM offers visitors a variety of recreational opportunities for a wide range of users. From the solitude of lonesome canyons to the excitement of winding rugged backways, the Monument is truely a treasure. It is divided into three distinct sections: the Grand Staircase, the Kaiparowits Plateau, and the Canyons of the Escalante. No fees of any kind are required to date. The National Monument is open 24 hours a day, all year round. The BLM information centers are located around the periphery of the Monument. 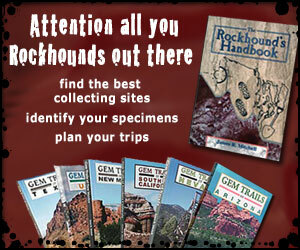 BLM personnel at these centers can provide visitors with essential and detailed information. The centers also offer books and maps for purchase through our cooperating interpretive associations. 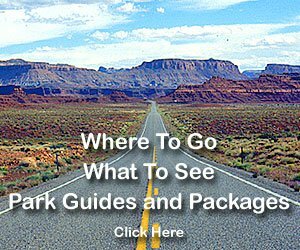 All Monument visitor centers are located in the state of Utah and the hours listed are local time. Utah is in the Mountain time zone and observes daylight savings time. March 15 through November 15. Being primarily an undeveloped wilderness area, there is very limited accessibility to any features except by foot and 4-wheel-drive. Mandatory backcountry permits are required before any overnight trip. They are available at the Escalante Interagency Visitor Center and at several trailhead locations. Group size is limited to 12 people. Open fires are prohibited in the Glen Canyon Recreation Area and are discouraged elsewhere. Use cook stoves only, to reduce human impact. If you must build a fire, go to a developed campground. Bury all human waste at least 8 inches deep and at least 300 feet away from any water source. Burn all toilet paper completely or carry it out in plastic bags. Do not defecate under overhangs or inside alcoves. Rainwater (which is essential for decomposition) never enters these areas. Food leftovers and all garbage must be carried out. Do not dump garbage on the ground or over vegetation. Do not wash dishes in streams or pools, and do not use soap near any water source. Things like used match sticks and bits of candy wrappers must be picked up before breaking camp. Pets - Dogs are allowed in most of Grand Staircase-Escalante National Monument. However, dogs must be leashed on the Lower Calf Creek Falls Trail and within Glen Canyon National Recreation Area. Due to the confined space of slot canyons, dogs are not permitted in the Dry Fork slot canyons off Hole-in-the-Rock Road (Peek-A-Boo and Spooky). Please keep your pet under control when in developed areas or when encountering other visitors. Do not deface any tree, shrub, rock, or ancient Indian artifact. Do not touch petroglyphs or remove any artifact found at a cultural sight. Not only is this illegal but it erases evidence of past generations and deprives society of the knowledge about these sites. Do not enter or climb on any Indian ruins.